Included below are golf course condos for sale in Mammoth Lakes, CA, updated daily from the Mammoth Lakes MLS. Mammoth Lakes has only two golf courses, which are Starwood and Snowcreek. Both are public courses. 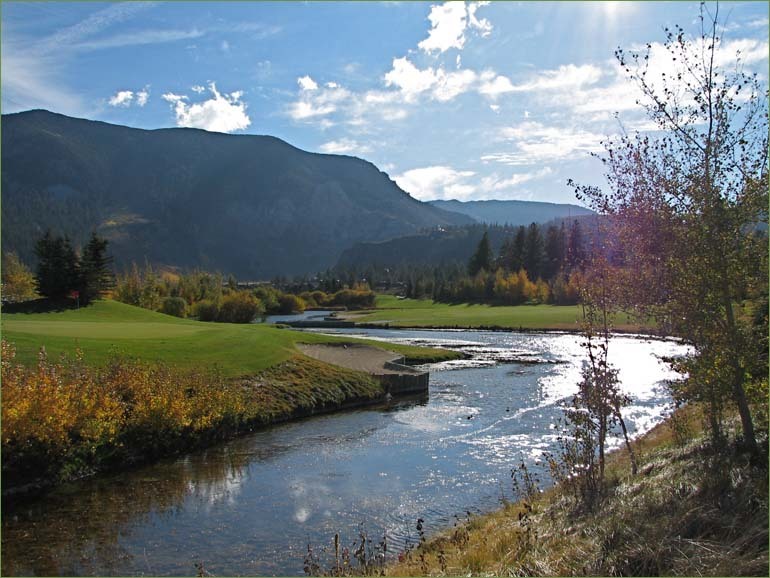 The Starwood course is an 18-hole championship golf course and the Snowcreek course is a 9-hole course. The condo developments that surround the Sierra Star Golf Course are Solstice condos, Mammoth Green condos, Woodwinds condos, Timbers condos, Stonegate condos, Cabins at Crooked Pines condos, The Pointe Townhomes and the Woodlands condos. The condos that border the Snowcreek golf course are Snowcreek phase 5 and The Lodges at Snowcreek. If you would like more information on any of these Mammoth Lakes golf course community listings for sale, just click the "Request More Information" button when viewing the details of a property. We can provide you with disclosures, past sales history, dates and prices of condos recently sold nearby, and more. And, for your convenience, be sure to register for a free account to automatically receive email listing alerts whenever new golf course properties come on the market in Mammoth Lakes, CA, that match your specific search criteria.